Last week flew by with 3 volunteer gigs for the week including my usual Arts Focus sewing volunteering with the kids at school on a Thursday morning. In the evening I wanted to give back to the place that provides me with the most amazing fabric collection – FabMo and it was so enjoyable seeing so many new faces coming through the doors. I generally take the Greeter role that involves introducing FabMo and it’s wonders to people who have appointments. Generally it is all good and I see them come out with bags full of goodies to craft with! Sharing the love of crafting is a wonderful thing!! 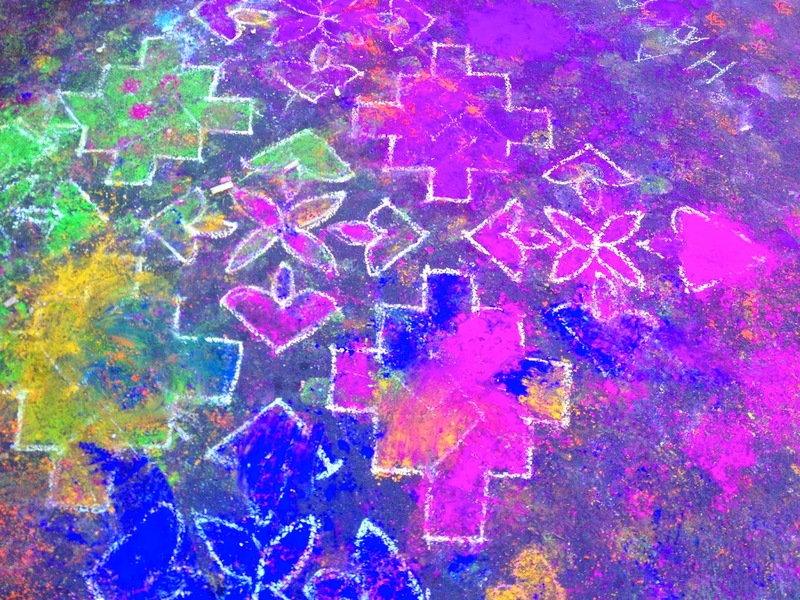 The last volunteer gig was for a Diwali event we had after minimum day on the Friday. 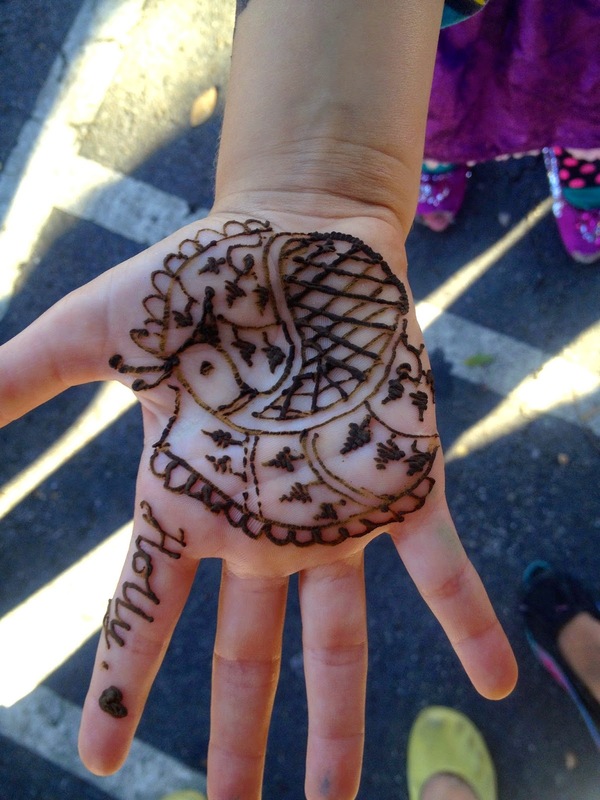 It was a complete success with lots of delicious food and I helped out with Henna and was an apprentice for the day. A friend of mine did this peacock on my daughters hand. I need a bit more practice but still the kids enjoyed me drawing feathers, peacocks, birds and whatever they wanted on their hands. 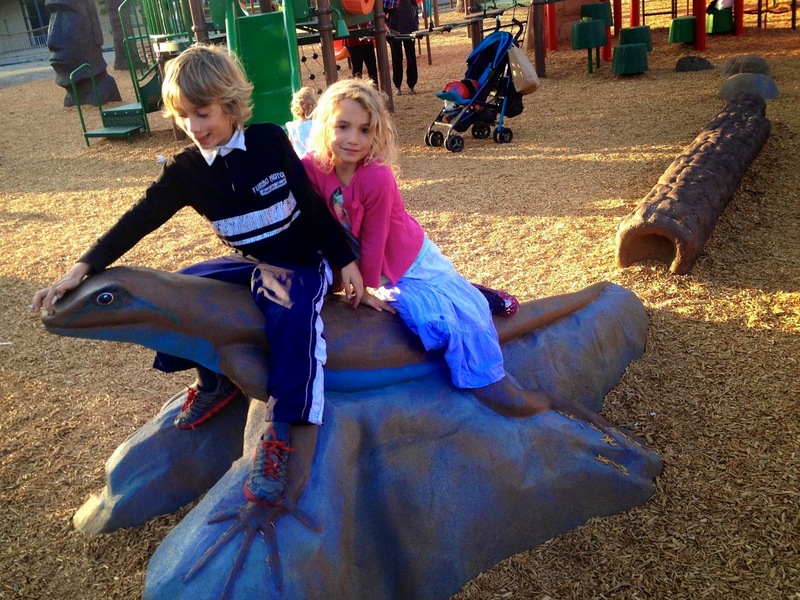 Yesterday we visited a friend at a local park that had been refurbished over the summer and found this sit upon lizard – the kids just loved it! 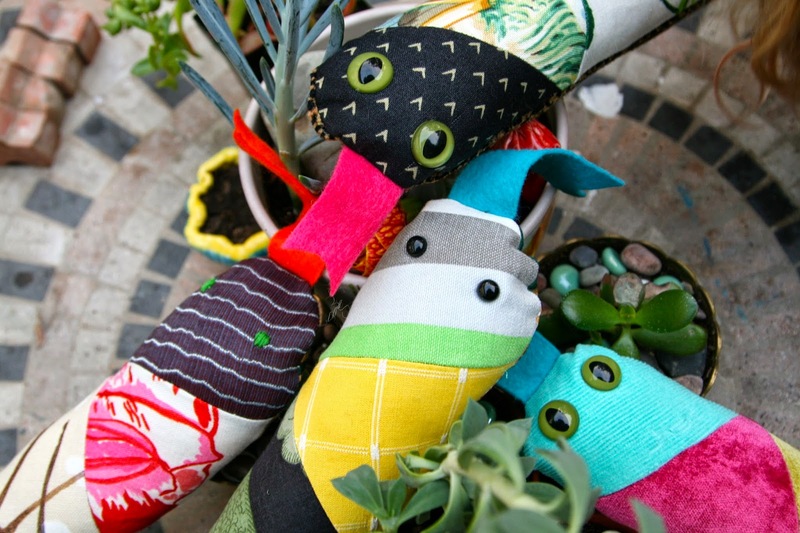 Here are the snakes that friends commissioned me to make for them – for a little baby to a Kinder child. They are enjoying the succulents that I am propagating in my garden – the drought has got me thinking about what should be in my garden and succulents are the thing! I love to grow them and the varieties are endless. I found some today that a neighbor was selling as they are moving back to Spain – what a score!! 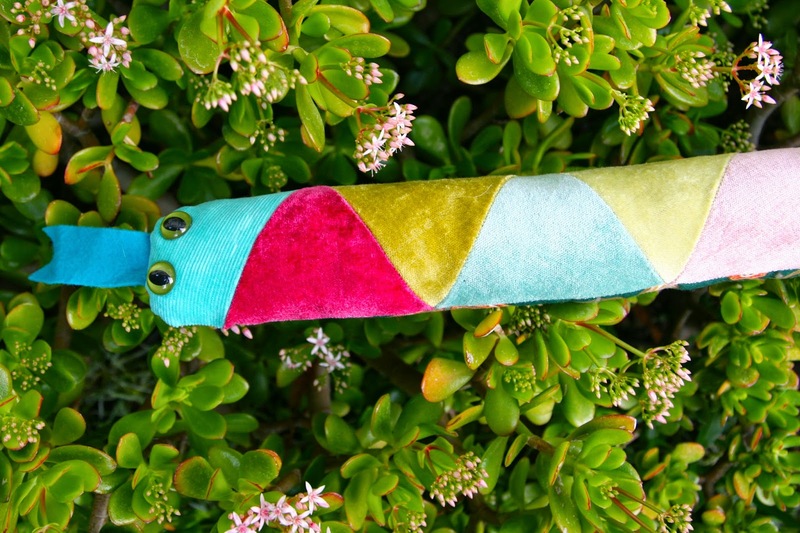 My favorite snake made from velvet – so soft to touch!